Cinnamon is among the four common spices known to have insulin-enhancing activity. (The others are turmeric (from curry), bay leaves and cloves, but none is as potent as cinnamon. Foods like bitter melon, panax ginseng, fenugreek, onion and garlic also have hypoglycemic effects as do less common herbs such as Gymnema (which lowers blood sugar but hastens pancreatic beta cell depletion), Pata de Vaca (Bauhinia forficata) and Pedra hume caa (Myrica salicifolia.) Cinnamon reduces insulin resistance, increases glucose uptake and increases glycogen synthesis. It does this by phosphorylation of the insulin receptor. It also appears to help trigger the insulin cascade system. Since insulin plays an important role in lipid metabolism, it can also improve triglycerides and cholesterol. Recently Richard Anderson, lead scientist at the Human Nutrition Research Center in Beltsville, Md assigned 60 patients under 40 with type 2 diabetes to take the equivalent of 1/2 tsp to 1 Tbsp (3-6 grams) encapsulated cinnamon or a placebo for 40 days. The encapsulated cinnamon retains its volatile oils better and is usually of a higher grade than common culinary cinnamon. 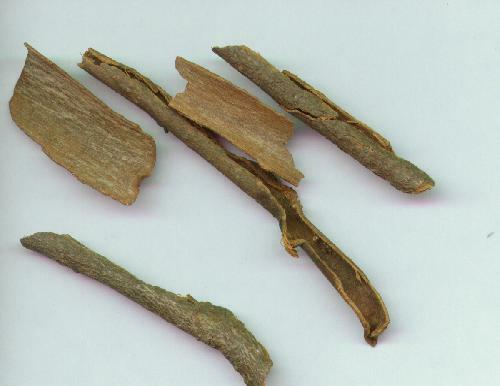 (In Chinese medicine different medicinal effects are recognized with different grades of cinnamon.) After 40 days they were measured for the effects on serum glucose, tryglyceride, total cholesterol, LDL and HDL cholesterol. Those on the highest doses had the fastest and highested reductions in glucose and triglycerides. After 40 days, all three groups had lower total cholesterol, with most occurring in the LDL (bad) cholesterol group. Mean fasting glucose went down from 18-29%, total cholesterol by 12-26%, LDL was down only in the 3 and 6 gram groups1(0 and 24%). Improved blood sugar and lipids were retained during a 20 day cinnamon-free washout period. I would advise taking encapsulated cinnamon at 6 grams a day for a couple of months to reduce blood sugar, triglycerides and bad cholesterol. Then make sure that cinnamon is regularly incorporated into your diet. If you don’t particularly like it or don’t eat at least a teaspoon a day, capsules may be useful. Higher quality cinnamon (say 5% oil) can be found in Chinese grocery stores or from mail order houses like the Frontier Natural Products Coop, (www.frontiercoop.com) and it has a noticeably stronger taste. The Chinese name is Rou gui (pronounced “row gway”). Cinnamon is good in tea (Chai contains both cinnamon and cloves, so, unsweetened, it is great for you), in coffee (but scrape it off the sides of the cup), over chicken or meat,, in soup stock, in rice, or incorporated in sauces. It tends to form a gel if it sits in a liquid for a while, which may reduce the insulin spike. But look at the amount you use- you will probably need to increase amounts.